​Leicester City welcome Bournemouth to the King Power Stadium on Saturday as Brendan Rodgers looks to continue his strong home record since joining the Foxes in February. 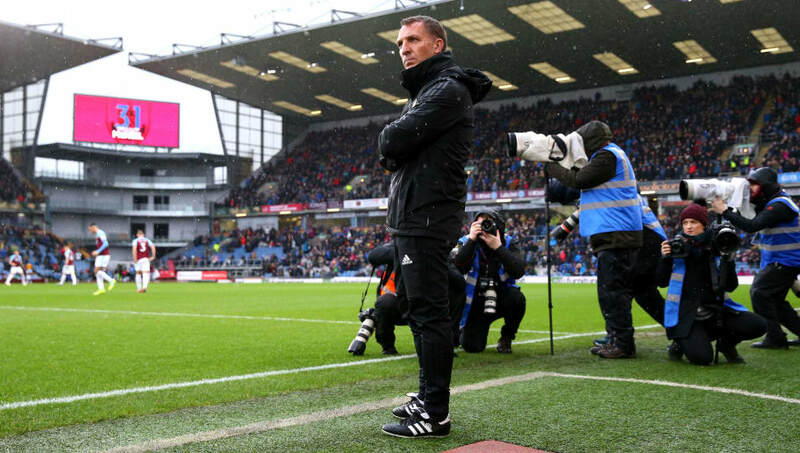 Leicester will be without crucial centre-half Harry Maguire, but Rodgers will feel that his side have the quality to come out on top in what will be an exciting match between two sides that love to play attacking football. Here's a look at how the Foxes could lineup for ​Saturday's match. Ricardo Pereira (RB) - Portuguese full back Ricardo has been one of Leicester's top performers so far this season and his winner against ​Manchester City will go down as one of the moments of the campaign. A similar goal-scoring performance will be welcomed here. Wes Morgan (CB) - Club captain and ​Premier League winner Morgan will be drafted in to cover for the absent Maguire and Rodgers will hope the 35-year-old leads the team to victory. Jonny Evans (CB) - Evans is returning from a successful break with the international side and will be looking to bring this form to his club side and help his teammates to the ever elusive clean sheet. Ben Chilwell (LB) - The English full back impressed on England duty and has been a star performer for the Foxes this season. If he keeps on his current trajectory, Leicester will be fighting off potential suitors come the summer to keep their prized asset. Demarai Gray (RM) - 22-year-old Gray will be looking to trouble the Bournemouth defence with his direct running and pace. He also has a knack for scoring the spectacular goal so keep an eye on him for moments of magic. Wilfred Ndidi (CDM)​ - Ndidi will be tasked with providing cover for his back four and stopping dangerous Bournemouth attacks. The youngster has improved this season and has become an important player for Leicester. Youri Tielemans (CM) - The Belgian youngster has impressed since his loan move from Monaco in January. If he continues these positive performances he can expect Leicester to try and make his move permanent in the summer. James Maddison (CM) - The Englishman would have been upset to not have been included in the senior England side but if he continues his impressive displays, he will find himself in the squad soon enough. Harvey Barnes (LM) - Recalled from loan in January, Barnes has hit the ground running and with Marc Albrighton out injured, the young Englishman has the opportunity to show he's ready for the ​Premier League. Jamie Vardy (ST)​ - Rodgers plays to Vardy's strengths and uses the Englishman's dangerous pace to upset opposition defences. He has linked well with Maddison in recent matches and that will please his manager, especially if he continues his scoring run.